Check out these rare 1979 Williams Gorgar Pinball Machines for sale. You will also find parts and accessories including the Pop Bumpers, Speaker Upgrade, Flyer, Sound Board, Flipper Rebuild Kit, Fuse Kit, CPU Rom Chip Set, Translite, Playfield Plastics, Target Set, Mods, and Custom Target Decals. 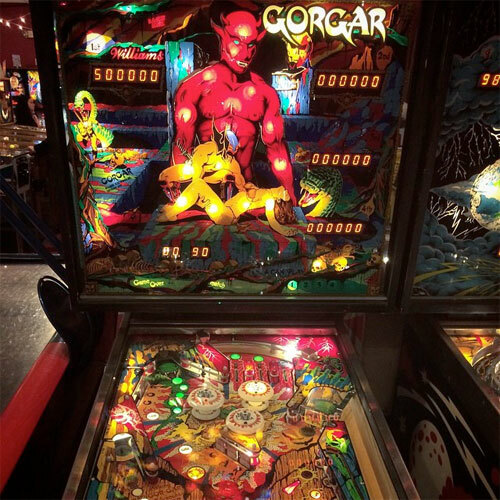 Gorgar was the first talking pinball machine and had a vocabulary of seven words. There is a freaky heartbeat sound that speeds up if the game lasts long. Very revolutionary for its time!